On April 26, 1956 the rebuilt tanker, the SS Ideal-X cast off at Newark, New Jersey, with 58 containers on board steaming to Houston, Texas. A historic trip that marked the beginning of the triumphal march of steel boxes in transportation. More than a decade later, in 1969, the air cargo industry followed suit, stowing the first containers aboard some aircraft. Meanwhile the boxes have become indispensable in freight transportation, be it by sea or air, securing the carriage of sensitive items like – inter alia – pharmaceuticals, medicines, foodstuff, express goods or even garments to name but a few. 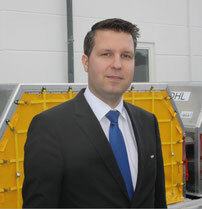 How valuable these unit load devices are in daily trade, is emphasized by Marcus Franke, Head of Sales at ULD producer DoKaSch. Q: Marcus, it’s been a long way from 1969 until today. How would you describe the role containers have played in air transports ever since? A: Air Cargo containers especially helped to standardize processes and reduce the time aircraft spend on ground during their stops at the airports. In the meantime, several different shapes have been developed to fit into new aircraft types as well as to be used in as many different aircraft as possible (optimal fit vs. flexibility). Q: During their infancy, the boxes were rather heavy. Since then, breakthroughs in material development have been achieved. Which were the main steps and where do ULD producers like DoKaSch and others stand now in the research and development of improving containers even further? A: In the early beginnings, it was aluminum most of the containers were made of, frame structure as well as panels and base. Later on, due to the necessity of reducing tare weight in order to reduce emissions and fuel savings, the industry developed lightweight units mainly using composite materials for the panels combined with rigid frame structure still made from aluminum. This frame structure had been optimized over the years as well, but it still is made of aluminum. Future research and development activities are currently indicating what is possible regarding base design, frame structure and the new requirements regarding track and traceability as well as utilizing even more fire resistant materials demanded by the ever growing shipments of lithium batteries worldwide. Q: Today, airlines can make use of a great variety of containers, depending on the individual products they are carrying. In what way do boxes tailored to the specific needs of carriers contribute to enhance the global supply chain? A: The structural design of containers (mainly contour) is standardized and defined by the contour of the aircraft they have been developed for. But functionalities of those containers as for e.g. live animals, dangerous goods, temperature sensitive goods, security shipments, express parcels or other loads carried by air that need a special treatment makes the difference. Those specialized containers help to enhance global flows of goods that have to be transferred all over the world in a short period of time. E.g. 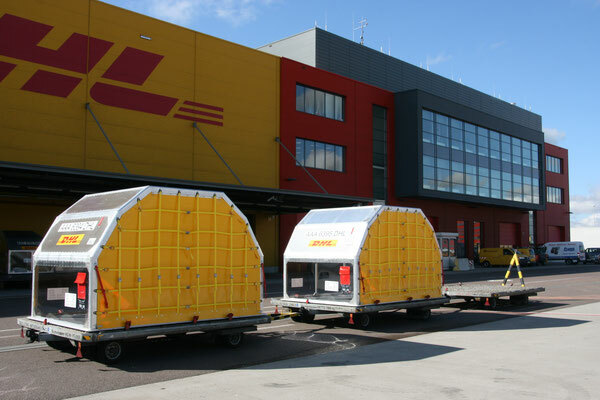 our DoKaSch AAA-Containers with smooth interior for express parcels in order not to damage those “high speed” shipments and to prevent them from getting wet. Q: What comes next in the development of transport boxes and which influence do aircraft manufacturers like Boeing or Airbus exercise when it comes to future generations of containers? A: Aircraft manufacturers are from our point of view key drivers to the future of “transport boxes”. This, because it’s the producers of jetliners that determine the playground for technical and innovative ULD solutions to optimize transports and best utilize boxes for accommodating goods and enhance ground handling processes. Depending on these external future developments, OEM/Engineering companies like DoKaSch are keen to work close together with the aircraft manufacturers to come up with innovative products or maintain best solutions for supporting shippers, forwarding agents and cargo carriers in their daily aim to offer transport solutions that best serve the markets.